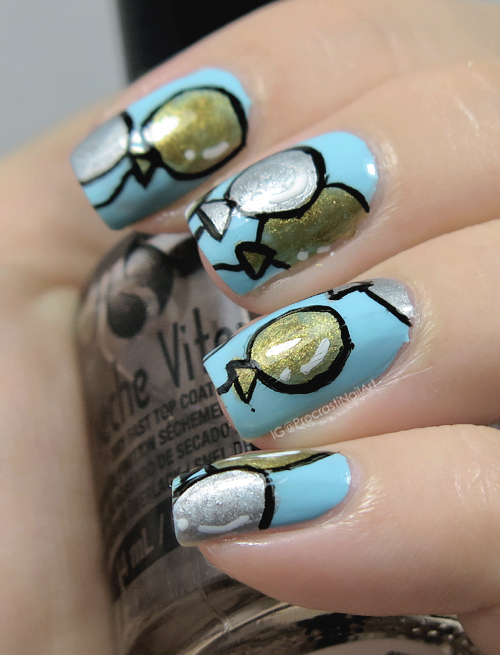 Nail Art // The Digit-al Dozen Turns Five: Celebrate with Balloons! 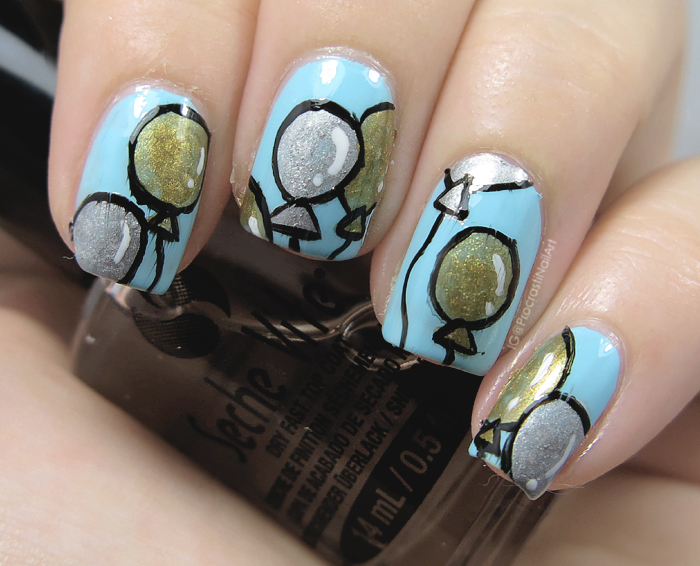 My next look for DD's 5th Birthday is some freehanded balloons - originally I thought about doing a bunch of different colours but when it came time to do it I decided to go with a more elegant gold and silver theme! I thought about making this look matte (as I always find freehand looks better when I mattify it) but I decided to leave it glossy to add some extra shine to my balloons. Not sure if that was the right call though, hmm... What do you think? I love the colour combo, it is super elegant indeed! 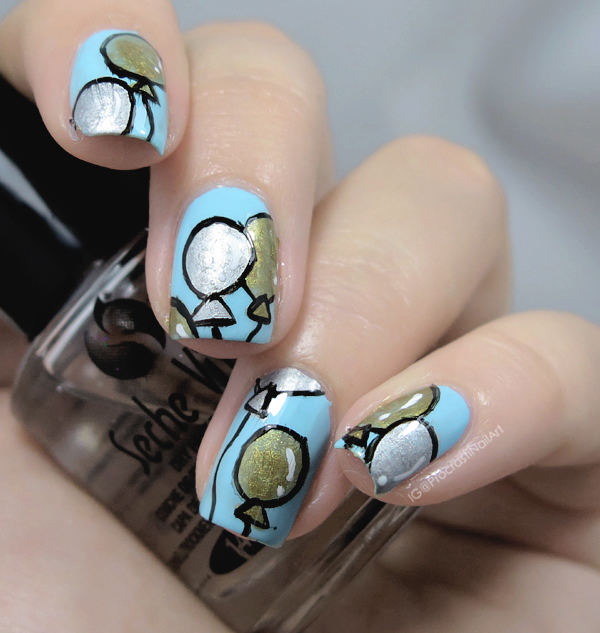 And the balloons are wonderfully whimsical, it's a perfect combination!